1 NEHGS NEXUS: New England Across the United States, 1999, Vol. 16, p. 158, New England Historic Genealogical Society (Online Database). 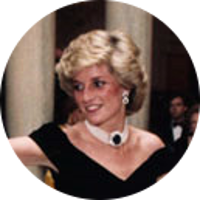 2 Evans, Richard K., The Ancestry of Diana, Princess of Wales , Boston: New England Historic Genealogical Society (2007), 51. 3 Mosley, Charles, editor, Burke's Peerage and Baronetage, 106th edition, Crans, Switzerland: Burke's Peerage (Genealogical Books) Ltd. (1999), 838.